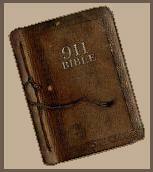 Islam News Room - Bible Breaks Commandments? Did Jesus say 'Eat the pig'? Answer: You asked me about the one who says Matthew 15:11 means Jesus, peace be upon him, made eating pork legal by saying "What goes into the man does not defile him, but what comes out of him defiles him." when he changes the Word of God. Quran will be mailed out within 2 weeks (14 working days) from when we get the order, inshallah. Now as far as what he thinks Jesus said - nobody knows who even wrote the Gospel of Matthew, nor when it was written exactly, nor where, and they have never seen a copy of it from the time period (2,000 years old) and no one knows how to recite any of it. All they have is the English, King James Version, which came about in 1611 A.D. and it had so many mistakes, they had to revise it the very next year, and then it still needed revision again within 5 years and this continued for some decades. Finally, it was re-translated again, from the older manuscripts, starting in 1901 and completed in 1953 as the Revised Standard Version of the Bible. Listen to this, in the preface to this translation it said, "Yet, the King James Version of the Bible has many GRAVE DEFECTS.." (emphasis added), so as to necessitate a complete re-translation of the entire work. Seminary schools for Christians around the world will tell their students this in the very first year, and along with that, immediately start telling them how to deal with the questions arising from the many contradictions, interpolations and other corruptions in what they now have. Some of these students leave Christianity, some become atheists and a few even become Muslims (like one named Joe, who I met after coming into Islam). Now consider this, if the person wants to insist the Bible he has claims Jesus, peace be upon him, has changed the Law of Moses (the Torah) by allowing the eating of pork, then ask him in these exact words, "Do you think Jesus was destroying the law of eating pork?" (wait for his reply) Then ask, "Did Jesus make the law less than it was?" (wait again) Now ask, "Did Jesus, peace be upon him, break the Laws or teach that it was O.K. to break the Laws of Moses?" After he answers you, then ask him if he has a Bible close by. Tell him you want to know if he could locate the chapter for you to show you what he is talking about. And then wait until he brings it to you or has it with him. Now let him read the whole thing and ask him to read slow for you. When he is done, ask him if there is any other book in the Bible called Matthew or is there only one (there is only one). Ask him if it is the very first book of the New Testament? (It is) Now ask him to look up Matthew, chapter 5. And then ask him to go to verse 17, and read it and the next two verses as well. Let him read slow for you, so you can understand what it is saying. When he is all done, ask him, "How do you reconcile this teaching you just read to me, with the teaching you claim is meant by verse 11, in chapter 15?" No matter what he says (and it will probably be pretty good, knowing the way some Christians will lie to cover up their tracks), you say, "Well, Allah's Book, the Quran, agrees with the what is in Matthew 5:17, but it disagrees with what you think it means in Matthew 15:11." For us, as Muslims, the Law of Allah in the Quran is the Final Law. The fact that most Jewish adhere to this even until this day does not influence us at all. It is Thonly because it is in the Quran and it was confirmed by our prophet, peace be upon him. Muhammad, peace be upon him, never said it was only what comes out of your mouth that defiles you. He knew what doctors and scientists know today - it is what goes in your body that can greatly affect what comes out of your body, including what comes out of your mouth. And by the way, the worst thing to come out of anyone's mouth is to lie about Allah, His Book, His prophets, His Deen (religion) of Islam.